I have a couple of Mac palettes but this is my most used one as it contains all of the neutral colours. I particularly like Phloof, Naked lunch, wood-winked and bronze. 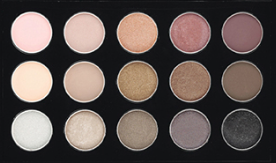 There is everything you need here to create a lovely smokey eye or a neutral wash. When I first got into Mac, the only way of creating a palette was to by all of the individual shadows in the refill pans. 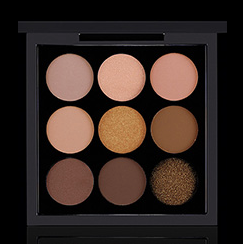 You can now by a neutrals palette from Mac (£65) which is much cheaper than buying 15 separate shadows and the palette (£166.50). 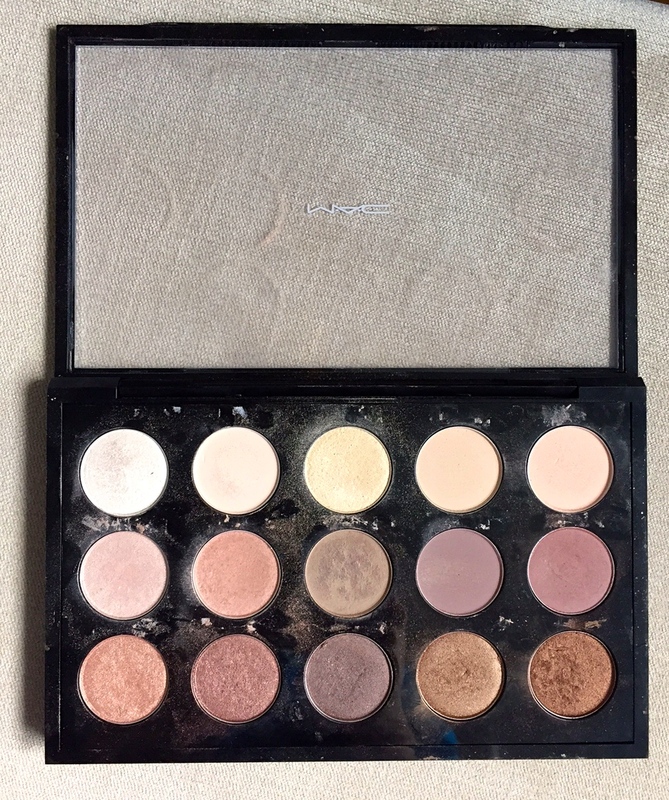 These are my top picks from Mac if you are looking to invest in a palette. Hey, warm breeze, gingersnap, dark brew, dance in the dark, brule vanilla extract, honey lust, amber lights, saddle, lemon tart, butter fudge, unwind, divine decadence. It is available here. Flounce, sweet allure, sun tweaked, blackberry, after dusk, pick me up, crushed clove, cozy grey, deception, brun, silver, fog, french clay, cumulus, pearled earth and black tied. It is available here. 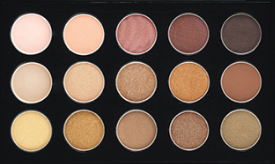 There is also an amber x nine palette which is very pretty here. 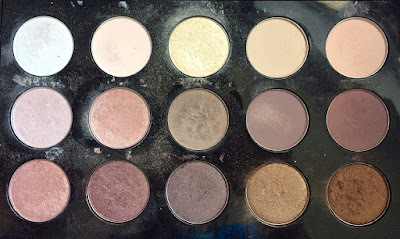 The eye shadows are quite a bit smaller than the normal ones but it is a lovely mix of browns/ golds. Perfect as a starter palette. The palette contains cosy grey, kitties, georgia peach, rice paper, creative copper, cork, don't tell, aromatic, pepper please. Getting a new kitchen: My wish list so far!